Shivangi Joshi, who plays the role of Naira on Star Plus’ popular show “Yeh Rishta Kya Kehlata Hai”, celebrated her grand birthday on May 18. The actress spent her special day with her team. 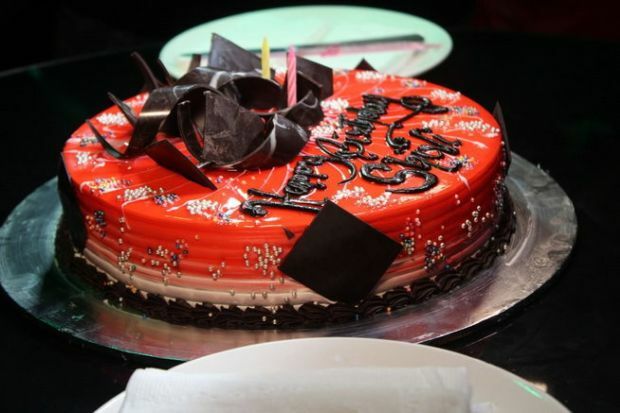 The actress, who is currently riding on everyone’s heart with her fabulous performance in the show, celebrated her birthday with her friends and the cast and crew of the show. The grand party was organised in the fine dining restaurant in Mumbai. The birthday bash was attended by the producer Rajan Shahi, Shivangi’s boyfriend and her co-actor Mohsin Khan, Kanchi Singh, Rishi Dev, Mohena Khan, Ali Hassan, Parul Chauhan, and other “Yeh Rishta Kya Kehlata Hai” cast.